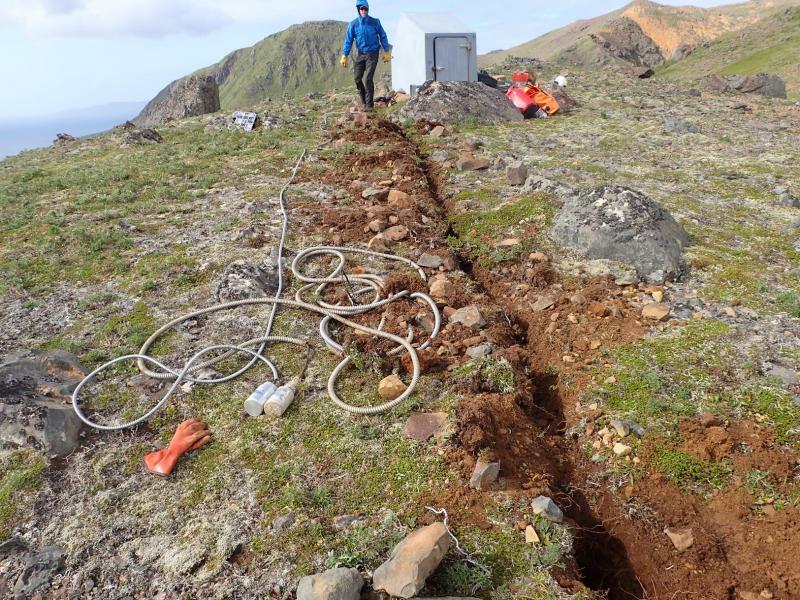 The Alaska Volcano Observatory has recently completed repairs to seismic monitoring equipment on Aniakchak Volcano on the Alaska Peninsula that has restored ground-based monitoring at the volcano. 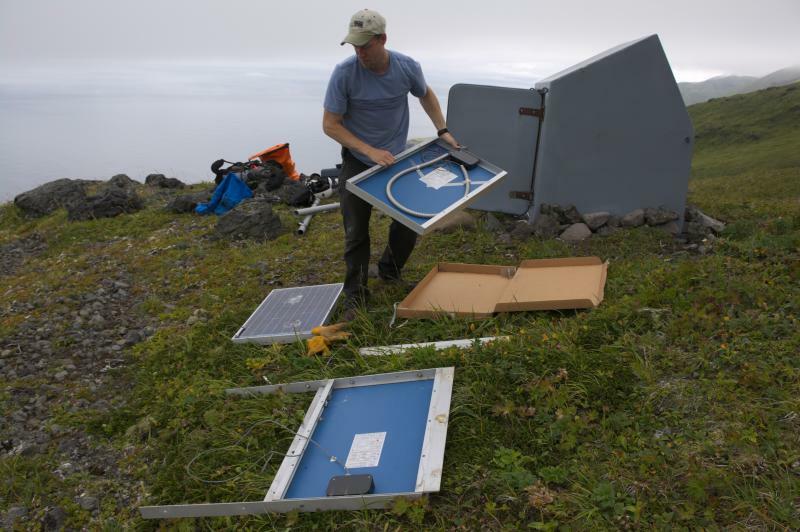 Additional repairs of seismic monitoring equipment at Gareloi, Tanaga and Westdahl Volcanoes in the Aleutian Islands, and Shishaldin Volcano on the Alaska Peninsula, have reduced the backlog of deferred maintenance and restored the monitoring status of each of the volcanoes. As a result, AVO can once again reliably track volcanic unrest at these volcanoes and issue warnings of hazardous eruptive activity. Over the last 27 years AVO has developed a far-reaching volcano-monitoring program in Alaska that includes earthquake detection, satellite, geodetic, and regional infrasound data, as well as geologic studies of past eruptive behavior. Currently AVO operates 216 seismic stations to monitor 29 volcanoes and 176 of these stations are currently operational. As a result of deferred maintenance, monitoring systems at Wrangell and Fourpeaked volcanoes remain inoperable and only three out of nine seismic stations are currently operational on Veniaminof Volcano, significantly impairing AVOâ€™s ability to track unrest at this volcano. AVO hopes to complete repairs to these remaining stations over the next two years. Access to these remote volcanoes on the Alaska Peninsula and Aleutian Island chain is logistically challenging. To share logistical and communications costs, AVO successfully partnered with programs and researchers from the National Science Foundation, leveraging expertise and resources. Maximizing the amount of network repair and maintenance improves volcano monitoring, advances volcano science, and improves the accuracy of public warnings. The primary volcano hazard in Alaska is airborne volcanic ash. Warnings and notifications from AVO help prevent ash from damaging aircraft flying the busy North Pacific air routes where up to 50,000 passengers transit daily between North America and Asia. Downwind ash fall is also a significant threat to commerce, transportation and day-to-day activities in nearby Alaska communities. Other volcanic hazards such as lahars (volcanic mudflows), and pyroclastic flows (rapidly flowing mixtures of hot rock fragments and gas) can pose significant hazards to infrastructure and population centers near active volcanoes. Jointly operated by USGS, the Alaska Division of Geological & Geophysical Surveys and the University of Alaska Fairbanks Geophysical Institute, AVO is responsible for monitoring Alaska's 52 historically active volcanoes and issuing timely warnings and notifications of hazardous volcanic activity. These warnings are used by federal, state, and municipal governments, the airline and fishing industries, local businesses and citizens to make informed decisions to properly address hazards associated with volcanic eruptions. AVO issues updates of volcanic activity in Alaska. The most recent information, along with a wide range of volcano information, real-time data and images, is available on the AVO website. Volcanic activity notices are also served through Twitter @alaska_avo and Facebook, or subscribe to the USGS Volcano Notification Service. This news release is available on the USGS website. USGS provides science for a changing world. Visit USGS.gov, and follow us on Twitter @USGS, and our other social media channels.